My apologies to my 'quilty' followers. My life has certainly not been centered around quilting this past year. I'm happy to report that I'm fully back on my feet now. New knee is functioning well, and my travel schedule is full. 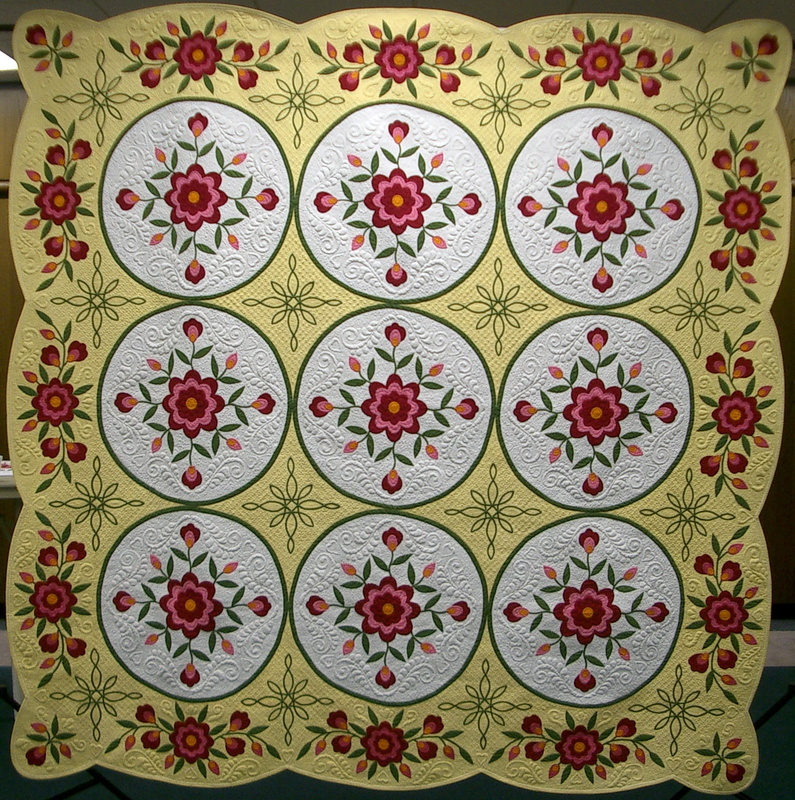 Over the past weekend, I renewed decades-old friendships in Winfield, Kansas where I taught a string quilts workshop. Lectures scheduled for today have been cancelled because of blowing and drifting snow. Thank you, Sally Ray, for making the executive decision to cancel in time for me to drive home safely before the storm hit. So now, I'm getting ready to fly to Ontario, California next week for Road to California quilt show where I will be judging and teaching 6 workshops! 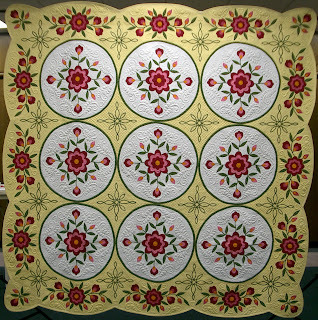 My quilt Aunt MiMi's Flower Garden won the Judge's Special Merit award there several years ago. I am so thrilled that 4 of my workshops are filled, one with a few extra participants and the remaining two workshops only have a couple of openings left. I am very excited to meet west coast quilters. This is my first time teaching on the west coast. On the home front, many changes are still taking place. Ken has decided to retire from his job as a public school teacher at the end of this term, and we are planning to relocate to Ponca City, Oklahoma, just a few miles from both of my sisters and families, and much, much closer to Ken's family members and about 4 hours closer by car to grandbaby Morgan and his mom and dad. We toured homes in that area over the Christmas holidays and we picked out a house and made an offer. Since this house is in a short-sell situation, it will take additional time for the two current lienholders of the house to make the decision to accept or decline our bid. But we are in no hurry since we have no tight schedule for making the move, so we can afford to wait. Thinking about moving brings so many mixed emotions, always. Leaving behind good friends, packing up the household, downsizing, listing our current home with a realtor and finding a buyer for it, and then there is the physical act of moving boxes and unpacking them. All of these create stress, but of a good kind mostly. We're hoping to be settled in by mid-August this coming summer, but time will tell. I'm sure you can see that quilt designing, and creating will be taking the back seat in my life's journey for a little while longer. But on that subject, please don't forget to download the instructions for completing your Love Knows No Season quilt project on January 15, 2011, if you've been following this on my website. This will be the final installment of this block-of-the-month project. I'm working hard to get the entire pattern published and ready for purchase by March 1, 2011. There will be a notice on my website, and in this blog when it is available. UPDATE NOTE: pattern may be purchased here. I've had lots of questions about a new BOM. I haven't had time to think about another one, so my apologies to those of you who were looking forward to another one soon. It will most likely be next year before I'll have time to complete a new design and make the quilt for a new block of the month, but I promise that there will be another project by this time next year. Thanks for your patience. Love MiMi's Flower Garden quilt! I am glad that you are back to more quilting. Hope that the house is settled soon so that you can move after your DH retires. Sounds like a great plan. Have fun teaching in CA. I'm sure that you will enjoy the warm weather. I love your work...it´s perfect!!! Congrat. Hi Elsie, Happy to have you in Southern CA!